Girl Kuripot Girl Kuripot: Join the J-POP Anime Sing and Dance Contest! - EXTENDED! Join the J-POP Anime Sing and Dance Contest! - EXTENDED! Do you love to sing or dance to J-pop songs? 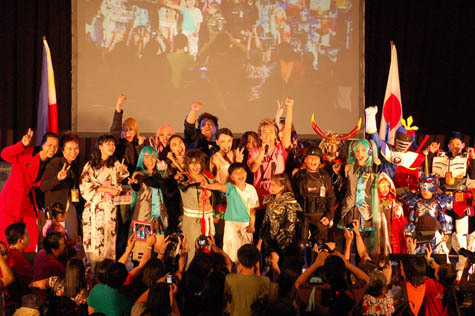 Join the annual J-Pop Anime Sing and Dance Contest! There are 2 categories: sing or dance =) You'll need an application form, a write-up about the performers, individual or group photo, a description of your chosen song and demo CDs. Click here and here to join the J-Pop Anime Sing and Dance Contest Manila.